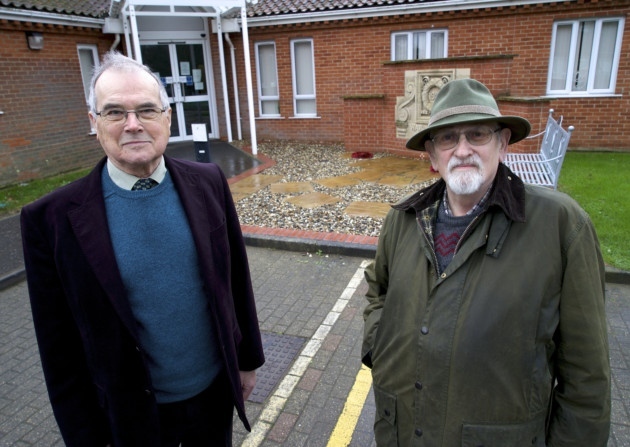 A Friends group supporting a North Norfolk community hospital has put out a rallying call for new key officials to carry on its vital work. 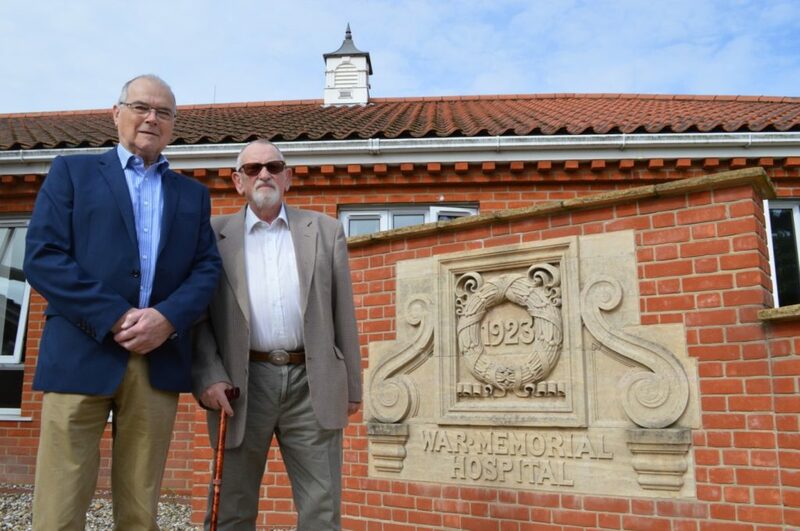 Since it launched in 1949, the North Walsham War Memorial Hospital League of Friends has provided buildings, medical equipment, improvements and extras worth hundreds of thousands of pounds. It also played a key campaigning role in saving the unit during a community hospitals shake-up nearly a decade ago. But its chairman for the past 36 years, Brian Elliott, fears its proud record could come to an end unless new members come forward to take on leading roles. The Friends are keen to recruit a new chairman, treasurer and secretary ahead of an extraordinary general meeting being called for August 25 to discuss the crisis. Mr Elliott, 82, aims to step down this year along with secretary and treasurer Brian Blackburn, 78, who has served for 31 years. During the past 10 years the Friends have given more than £370,000, buying everything from a suite of training rooms – thanks to a big legacy gift from Charles Dewing – to televisions, specialist mattresses and a wild flower meadow. The revamped hospital now has 24 beds for post-operative, geriatrics and palliative patients, along with physiotherapy and social services. Hospital chiefs have praised the work of the friends, with Gary Wiltshire, fundraising manager for the Norfolk Community Health and Care Charitable Fund, saying: “It would be hard to over-estimate the benefits that the Friends have brought to the hospital and its patients, families and the wider community over the years. An unexpected windfall from a grateful but little-known patient will transform the life of hospital staff in North Walsham. Work began this week on a £300,000-plus project to build two new rooms at North Walsham and District War Memorial Hospital so that staff can hold training sessions and meetings without having to travel. The development, due to be finished at the end of April, will also mean staff from other facilities can be trained at North Walsham. It is being paid for from the will of the late Charles Oliver Dewing. Mr Dewing, who died aged 82 in April 2011, was predeceased by his wife Barbara and the couple had no children. He left his entire estate, including his bungalow on North Walsham’s Kendall Close, to the league. Friends treasurer Brian Blackburn said the gift had been very welcome. The legacy, including the sale of the bungalow, amounted to more than £342,000, most of which will be used to fund the new rooms. A larger room, measuring just over 58sq m with a kitchen attached, will be used to train staff and will be equipped with state-of-the-art facilities. It will also allow staff to meet with others from surrounding towns and hospitals such as Benjamin Court, Cromer, and Kelling. And a smaller, 27sq m, room will be used for internal staff meetings, league of friends’ meetings and informal training. It will have an adjoining storage area. Currently many such meetings have to be held in the patients’ day room, which restricts its use. The rooms will form part of the hospital’s outpatient building, formerly known as Rebecca House. Brian Elliott, chairman of the league of friends, said they were delighted at the development. “It’s going to make a tremendous difference and is desperately needed,” he added. Gary Wiltshire, charitable funds manager with Norfolk Community Health and Care NHS Trust, said the donation was a fine example of the support patients and services received from donors. The trust had worked closely with the league of friends, staff and patients to ensure Mr Dewing’s gift would provide a valued legacy for many years. “Future patients cared for at the hospital or at home will be able to rely on nurses and care staff who have been trained to a high standard. Staff will also be able to their training updated as and when they need it locally, thanks to this legacy,” he added. The friends are also funding a wildflower meadow garden at the hospital. It has been planted on the site of the original 1920s memorial hospital, demolished to make way for the new £3.7m 24-bed replacement opened nearby in May 2012. The garden will be named in memory of Madge Bird, mother of North Walsham businessman Carl Bird, who was cared for at the hospital. Mr Bird, who owns a skip hire and recycling business, has helped create the garden, levelling it and donating top soil. Paths are due to be built in early spring and three memorial benches will be installed, including one honouring late hospital nurse Shirley Roper, and another, league of friends stalwart Tony Randell. An archway entrance to the garden will bear Mrs Bird’s name. “We hope it will be a quiet place for patients, staff and visitors to use,” said Mr Elliott. A community from north Norfolk joined together to celebrate the official opening of North Walsham’s hospital. The £3.7m redevelopment project saw the former building demolished and replaced with the new, modern ward. Representatives from Norfolk Community Health and Care NHS Trust, which runs the North Walsham and District War Memorial Hospital, patients, staff and local residents joined in with the celebrations. Belinda Williamson, a modern matron who has worked at the Yarmouth Road hospital for more than 20 years, said the hard work and effort had been worth it. The outcome of the project saw the old hospital knocked down at the end of 2011 and replaced with a new 24-bed unit, eight more than were available in the old hospital ward. Following the rebuild, the hospital reopened to patients in May. The new building includes updated outpatient facilities, such as physiotherapy, speech and language therapy, neurological support, continence care, podiatry and services which include rehabilitation care on the ward. The new inpatient unit is connected to the outpatients department. The construction was made from 44 modular pieces which were part-built offsite and came complete with interior walls, ceilings, door frames and electric points. They were then fitted together and clad with bricks. The heritage of the former hospital, built as a war memorial, has also been preserved and the hospital chaplain, Canon Derek Earis, carried out a rededication at the opening ceremony. 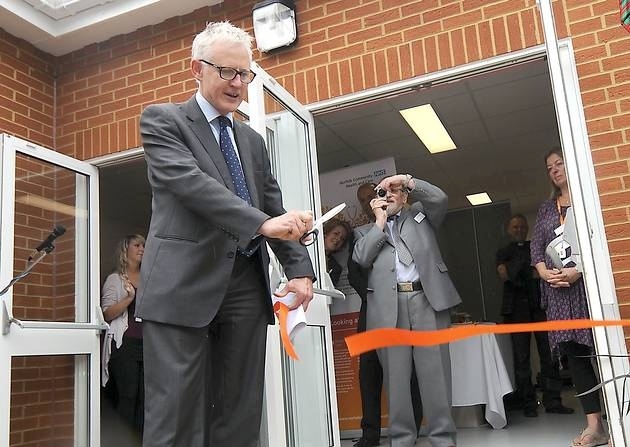 North Norfolk MP Norman Lamb cut the ribbon to officially mark the hospital opening. Clarence House Care Home announced its support for The League of Friends of North Walsham and District War Memorial Hospital at an Open Hour event held at the care home on Wednesday 8th February. 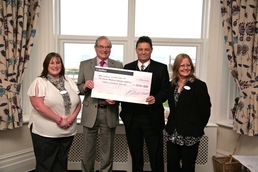 A cheque was presented in the residents’ lounge to Brian Elliott, Chairman of the Charity, by Bernard Freeman and Pat Rossouw. Pat Rossouw said, “We understand fully the important role that excellent equipment and facilities play in delivering high quality care. We are delighted to be able to assist the charity in its role of supporting the new facilities being created in North Walsham. “I was certainly impressed with Clarence House and the friendly staff, also the high standard of the rooms. The residents all appeared happy, the staff very friendly, everywhere was well maintained and spotlessly clean”. If you would like to find out more about the work of The Leagues of Friends, or make your own donation to aid their work, please contact Brian Elliott on 01692 405105.